More than growing tomatoes, use spare tomato cages for other amazing projects and hacks. 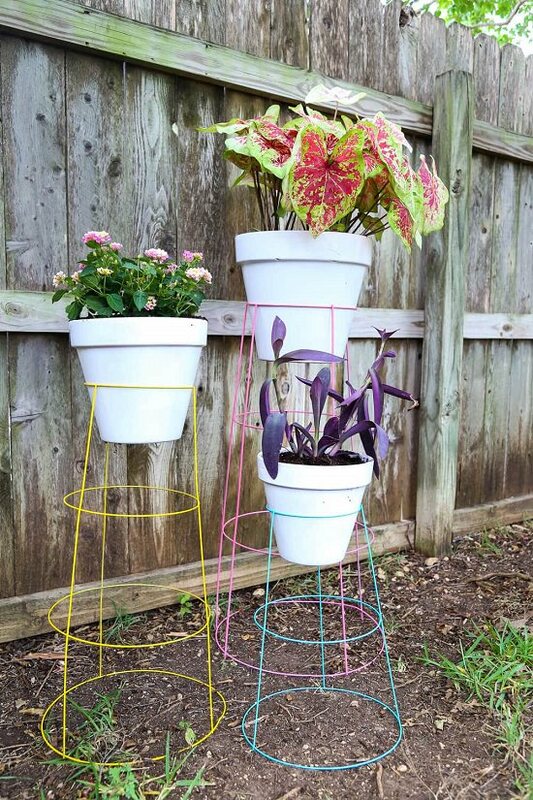 Take a cue from our 24 Brilliant DIY Hacks for Using Tomato Cages! 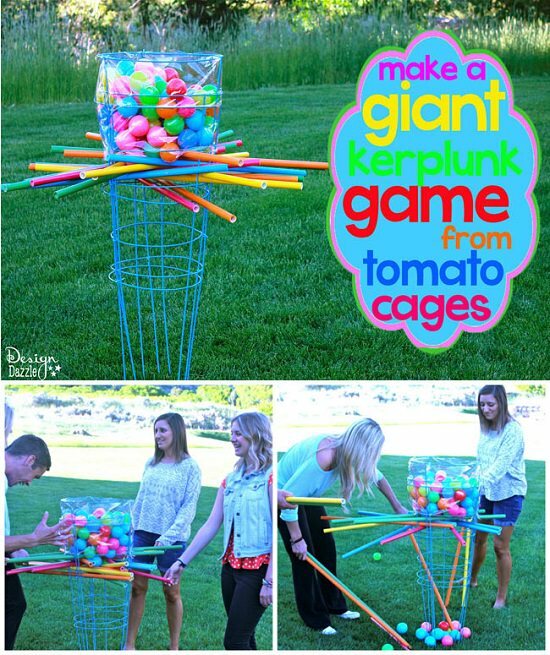 Did you ever think a tomato cage could be that useful? 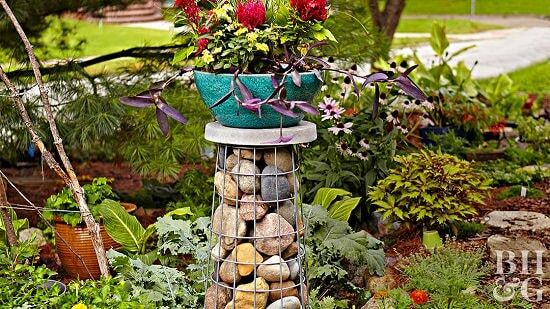 Make an appealing gabion plant stand out of a sturdy tomato cage and place it on your front porch, backyard or patio. 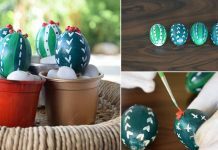 Visit BHG for the tutorial. 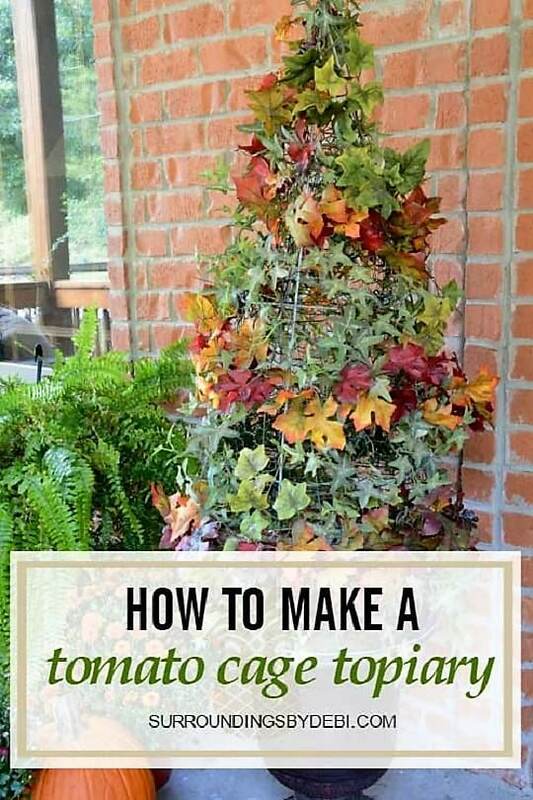 Create a stunning tomato cage topiary for year-round display in your porch or balcony or probably in a living room as well. The tutorial is available here. If you want to start growing vegetables early despite the cold weather, try this inexpensive yet brilliant tomato cage hothouse hack, it’ll increase the growing temperature for your plants. Find the tutorial here. 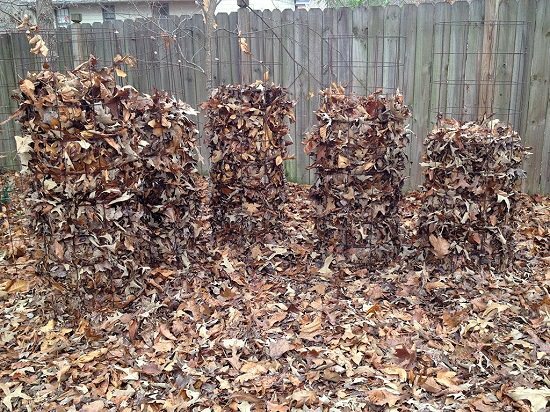 Store the bounty of leaves in tomato cages during fall and winter so that they decompose and provide you with a source to enhance the soil quality. 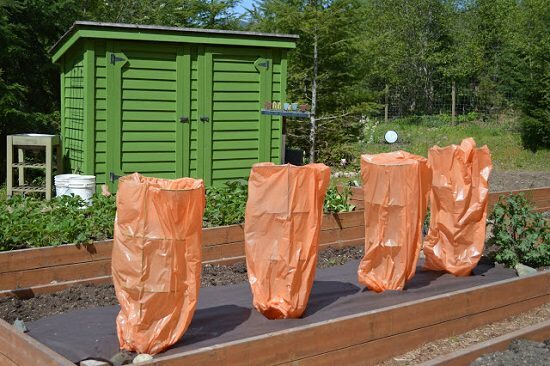 And again next spring, use the decomposed matter and tomato cages to have a great tomato harvest. 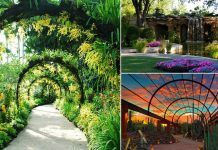 The detailed version is available at Bonnie Plants. This is one of the best in our list of ‘other’ tomato cage uses. 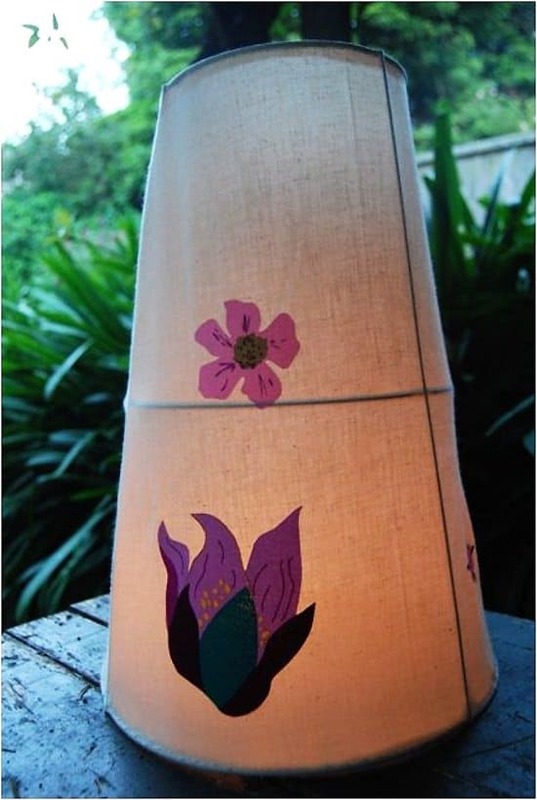 Turn a tomato cage into a beautiful deck lantern, you can place it in your backyard as well, or the balcony. Visit The Washington Post for the tutorial. 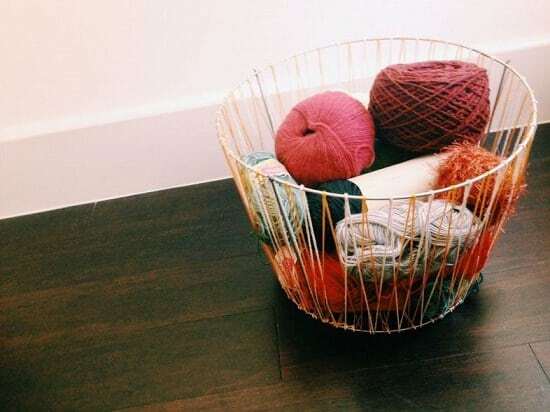 If you have an extra tomato cage by your side you must try this DIY woven basket idea. Get your tomato cage cut and weave it the way shown here. Cut the top wires of the tomato cage and you’ll have an instant pot stand! 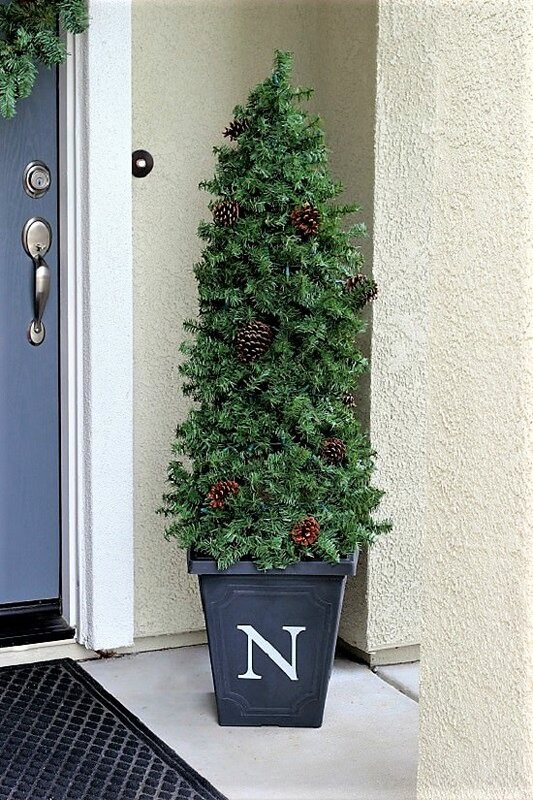 A set of them can definitely spruce up your front porch. We found the idea here. This can be a fun outdoor pass time for your family members; especially the kids. 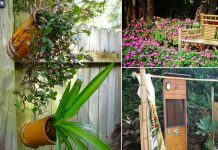 You’ll need some tomato cages, vinyl fabric, PVC pipes, spray paint, pit balls, and this tutorial here. 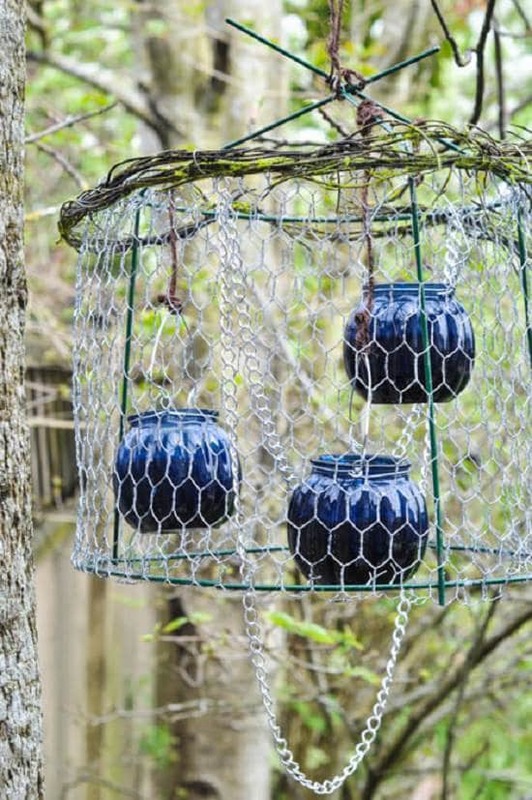 A tomato cage can become an outdoor chandelier using chicken wire, crystals, and chain. The whole list of supplies and the directions are available here. 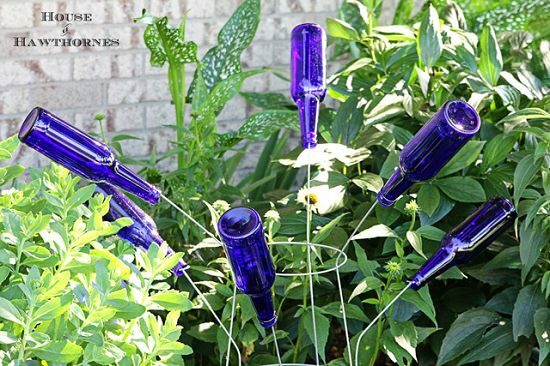 Display a bottle tree in your yard made out of two tomato cages and six beer bottles. Learn how to do it here. 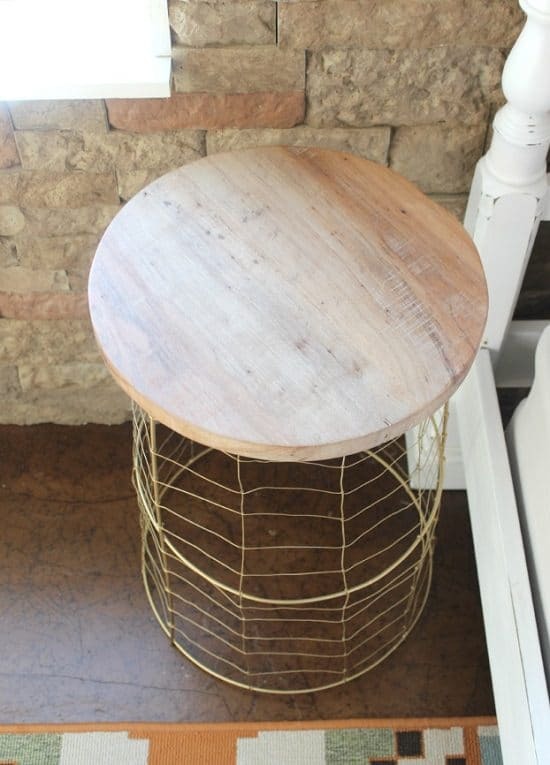 If you love wire tables and don’t want to spend on high prices, this idea is just for you! 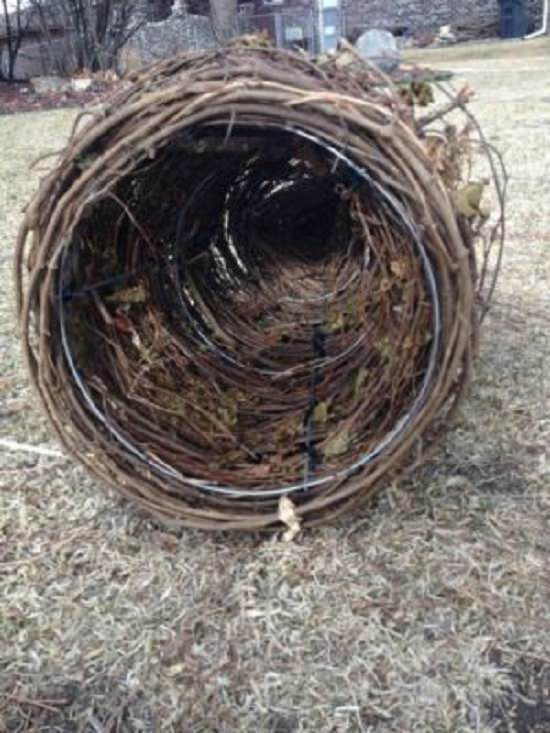 Cut off the top wire then weave the cage with wires and finally attach circular pecan using a strong adhesive. This is probably one of the simplest tomato cage DIY you can find on the web. Wrap a rope light over the cage, turn on the lights and enjoy your homemade new centerpiece. 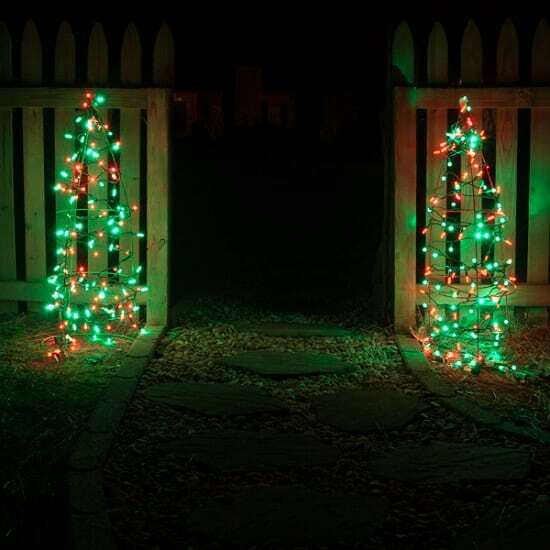 Instead of rope lights, you can even wrap your cage with string lights to illuminate your entrance. To make it more stylish, add some other ornaments to this glowing cage according to the occasion. 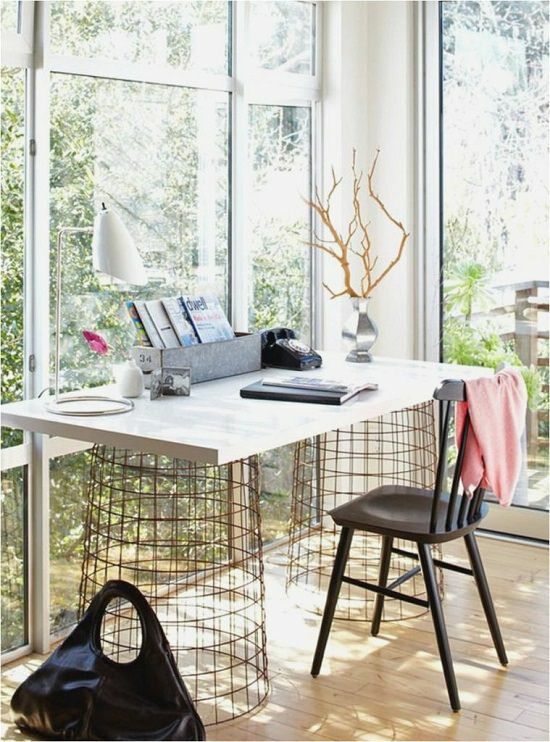 Acquire two old tomato cages of large size and fix them underneath a big tabletop as legs to make a cousin of this amazing tomato cage desk. 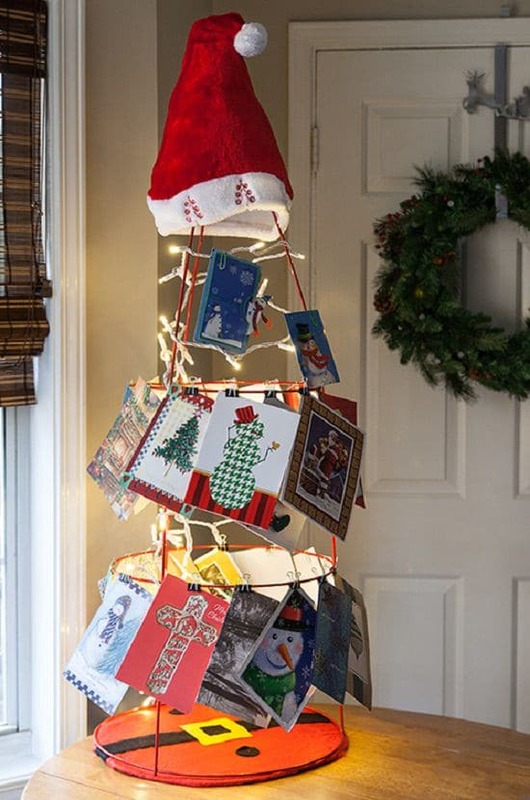 Adorn a tomato cage with Christmas cards, attach them using paper clips all around it and decorate the cage with a Santa hat and string lights. They used an old tomato cage and discarded grapevine to create an ultimate funnel trap for catching big fishes. Find the detailed tutorial here. 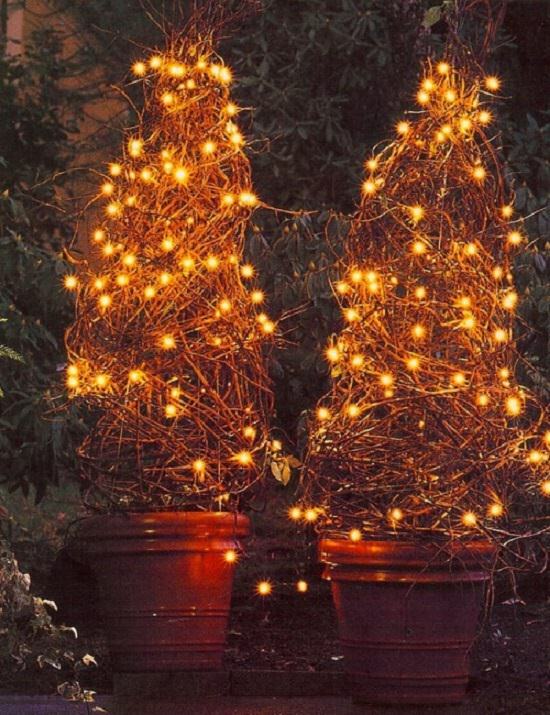 Adorn a simple tomato cage with faux fall leaves and Christmas lights to imitate the DIY here. 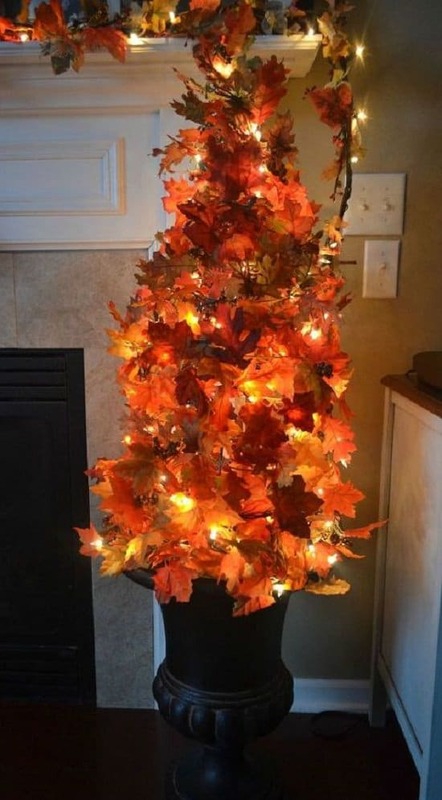 This adds an autumn atmosphere and a great decor to your space throughout the year. Another plant stands tomato cage hack, the how-to is here. 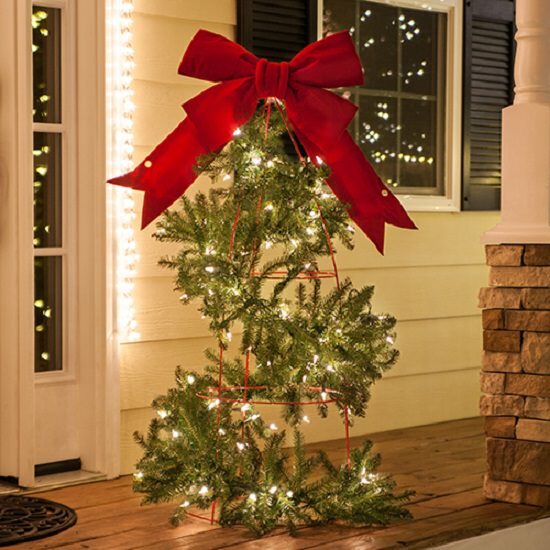 Use tomato cage as the base and decorate it like a Christmas Tree. We found the idea here, you can also find a few other tomato cages uses for Christmas in that post. 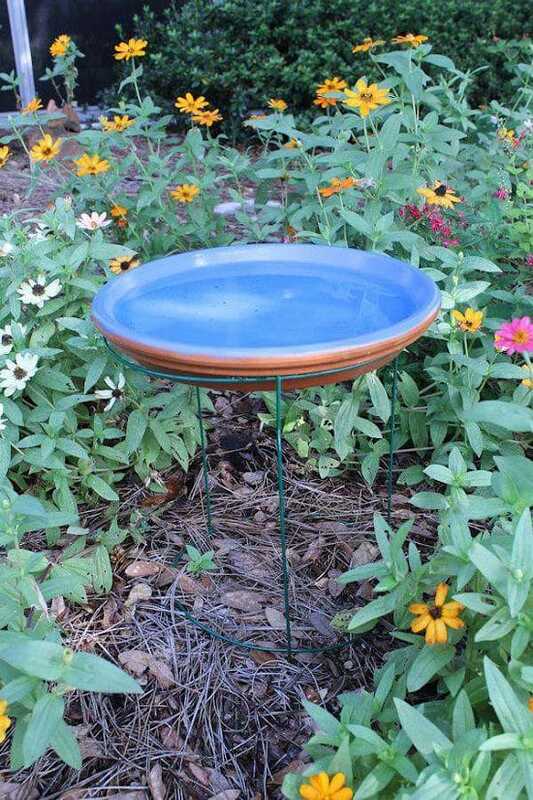 Transform a tomato cage into a birdbath for your feathered friends to enjoy. The step by step tutorial is here! 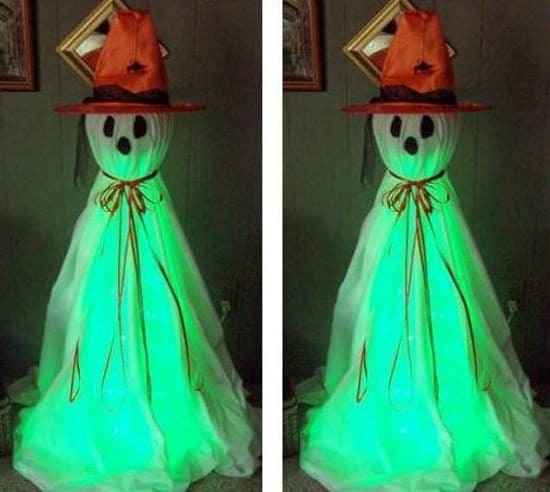 Upcycle a tomato cage into an eerie Halloween witch like this. Christmas rope lights, sheet, styrofoam ball, ribbon, and a tomato cage are the required supplies. The tutorial is here. 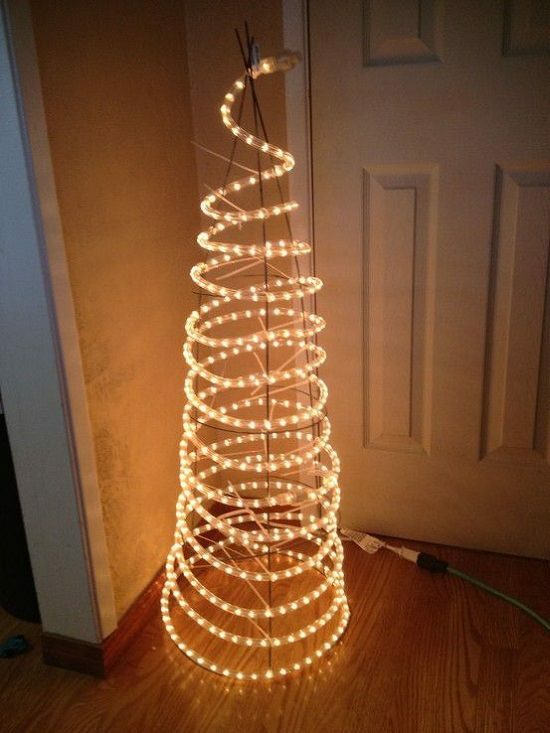 How about transforming a tomato cage into a rustic Christmas tree? For this, wrap the cage with grapevine to form a tree and line them in the terracotta pot with some string lights as an added accessory! Use a tomato cage as a frame and drape garland over it. How and what else is required, everything in detail is here. Using tomato cages for tomatoes is not the only way, these tomato cage hacks are proof. You can use tomato cages to provide support to other plants like cucumbers, beans, peas, and heavier eggplants, and flowering vines.